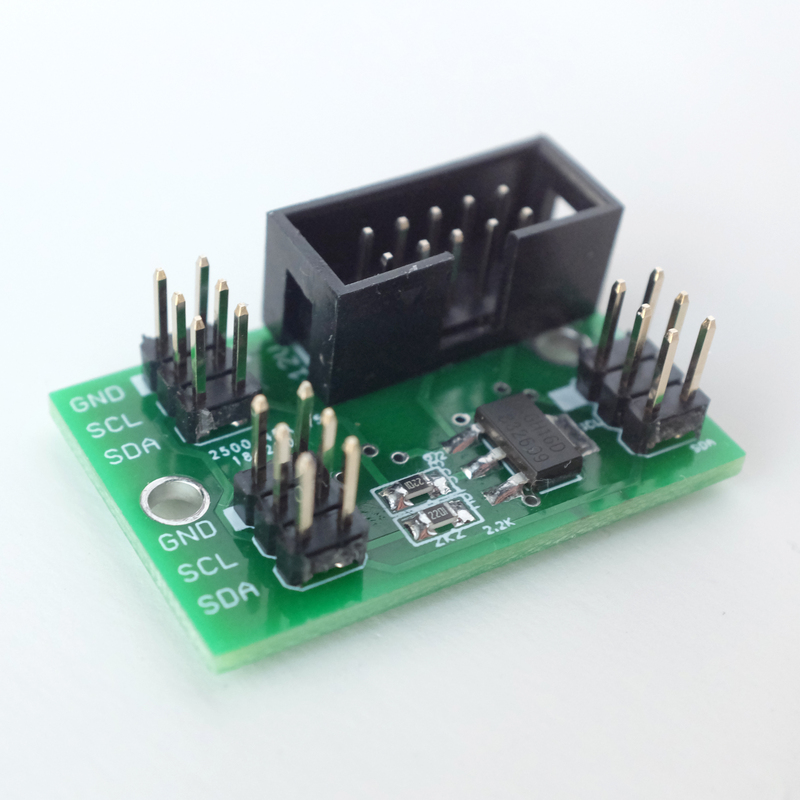 It’s a compact powered i2c busboard suitable for use with Teletype, Trilogy and other i2c modules. Same voltage regulator and 2.2K pull-up resistors as the Teletype Busboard. This one is meant to just float freely in the back of your rack (or stuck down with velcro maybe) - rather than directly attached to a module. There’s three 2x3 headers so you could connect up to 6 modules with regular (1x3) i2c jumpers or use a “flying bus” cable to connect multiple modules in series. I have a few built ones and pcbs for sale right now (pm for a link) or you can make your own (Github). would this work for connecting an ansible with @scanner_darkly’s poly earthsea to JF? still wrapping my head around the i2c limitations. yep, i have a prototype and tested it with polyes and can confirm it will work for this use case.